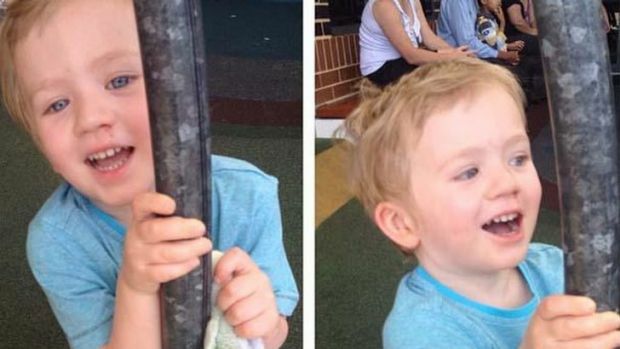 Help find missing toddler Samuel (.. The grandfather of missing toddler Sammy Trott says he is overwhelmed by the community help being offered to help find his grandson. Geoff Trott told 6PR the family haven’t been able to sleep since Sammy walked out of his parents Lansdale home on Tuesday afternoon. As the search continues today with an extra 100 SES personnel Geoff says that the Song ‘The wheels on the bus go round and round’ was a favourite of young Sammy. Fears are mounting for the safety of a missing Landsdale toddler as his parents appeal for help in finding their autistic son. Two-and-a-half-year-old Sam Trott has not been seen since he went missing from his home in Walbrook Mews at around 10.30am on Tuesday morning. His parents Lyndal and Matthew appealed for help on Tuesday afternoon, with his mother saying she asked Sam to close the fridge door and, when she heard it beep again, again asked her son to close it before realising he was not in the house. 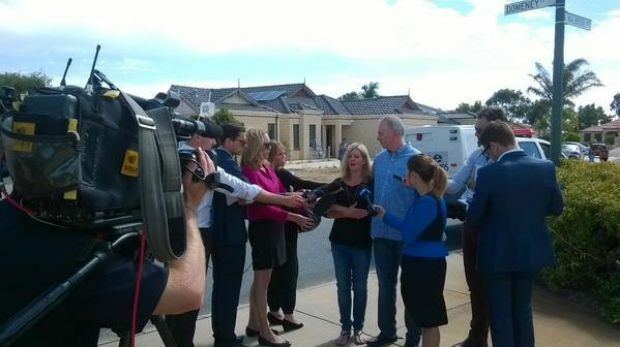 Sam’s parents appeal to the media for help in finding their son. Workmen had been at the home and Ms Trott said one of them may have left the door open. "He doesn’t know how to open doors but the door was wide open," a distraught Ms Trott said. Sam’s father, Matt Trott, urged the community to continue to help search for his son. "Check your backyards, check your front yards, check in your bushes," he said. "If you’ve got little drains, you know, he’s autistic, so he may not play with normal toys, so he could be hiding in the garden." Sam is known to like water so lakes surrounding the nearby primary school were also being combed by police divers. 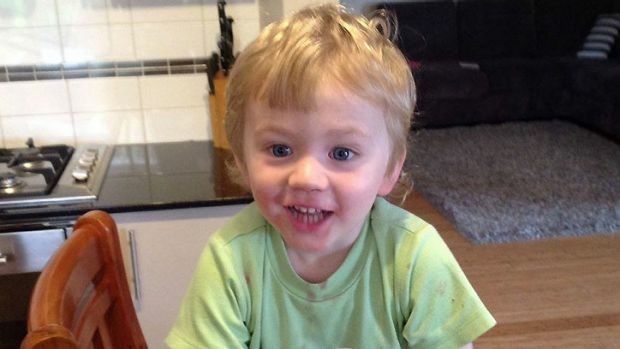 A major search in underway for two-year-old Sam. About 27 police were searching on foot and on horseback, assisted by police dogs, the air wing unit, local rangers, State Emergency Service volunteers and neighbours. A further 20 police would join the search on Tuesday evening. Sam’s grandfather Geoff Trott said his grandson was a very special boy. "He doesn’t talk very much so he may not respond to his name being called," Mr Trott said. "But we’re just hopeful at this moment he’s in somebody’s backyard, maybe sifting through a bit of sand or something. "He’s very special. He’s got autism, so it makes it all the more difficult." A neighbour told Fairfax Media that, due to his condition, Sam didn’t always answer to his name and sometimes thought it was a game and would run away or hide from those looking for him. She said the whole community was out looking for Sam as police upped the ante in their desperate search for the toddler. Students and teachers from Lansdale Primary School were alerted to the search for Sam over the school PA and were also helping to find him. 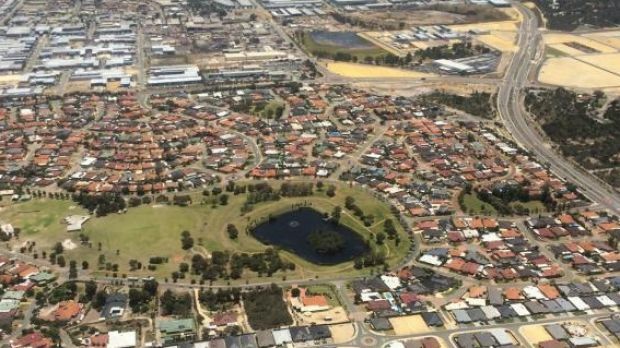 Efforts are focusing on Warradale Park, a large landscaped reserve with a lake in the middle, and surrounding streets. Sam is described as fair-skinned, fair-haired and wearing a blue polo shirt and black shorts with a grey stripe. Anyone who sees him is asked to call police immediately on 131 444.